Born in the United States into a secularized Hindu family, Amit Majmudar puzzled over the many religious traditions on offer, and found that the Bhagavad Gita had much to teach him with its “song of multiplicities.” Chief among them is that “its own assertions aren’t as important as the relationships between its characters . . . The Gita imagined a relationship in which the soul and God are equals”; it is, he believes, “the greatest poem of friendship . . . in any language.” His verse translation captures the many tones and strategies Krishna uses with Arjuna–strict and berating, detached and philosophical, tender and personable. “Listening guides” to each section follow the main text, and expand in accessible terms on the text and what is happening between the lines. 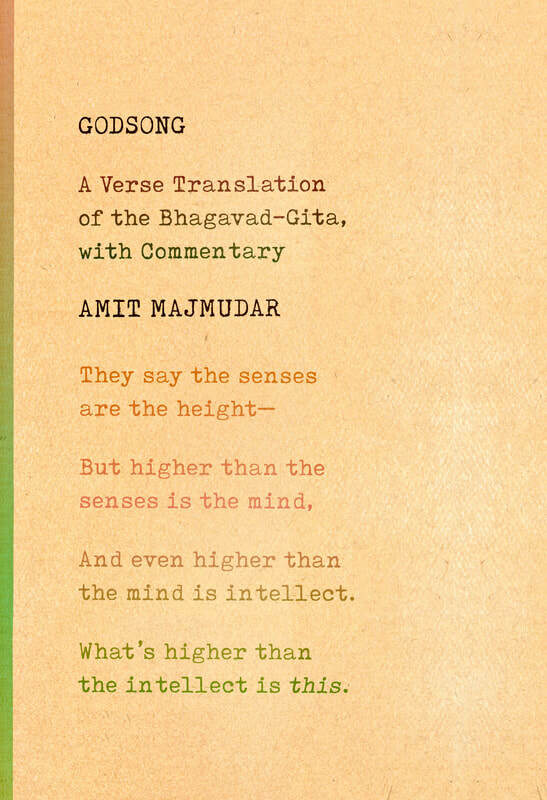 Godsong is an instant classic in the field, from a poet of skill, fine intellect, and–perhaps most important–devotion.